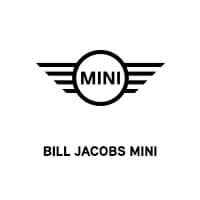 Welcome to Bill Jacobs MINI! We are a new and pre-owned MINI Cooper dealership in Naperville, IL, and we proudly offer a variety of cars and car services to Chicago, Aurora, and all surrounding areas. Our new MINI cars offer a variety of our famous vehicles to choose from, including the MINI Cooper S, Countryman, ALL4, and the MINI S Convertible, so whatever your driving needs require, we’ll have a powerful and stylish car for you. We also offer MINI financing specials to ensure you can drive away in a MINI without having to worry too much about financing. Our expert MINI finance center will be there for you every step of the way. Bill Jacobs MINI also offers a hand-picked selection of pre-owned cars to choose from, including certified pre-owned MINI cars. For MINI maintenance, we have you covered. We offer a MINI maintenance program to ensure your car keeps in like-new condition even after it leaves our lot. We also have MINI service specials so you can get quality service performed on your car at a great price. Make sure you schedule your car service at Bill Jacobs MINI today! So, after you find the 2018 & 2019 MINI of your dreams, your next step is to schedule a MINI test drive with us and you’ll be on your way to falling in love with your next car. Contact Bill Jacobs MINI if there’s any more information you would like to know about our cars or service. We are located at 2491 Aurora Ave in Naperville, IL. We look forward to seeing you soon!